For over 30 years, Alix Perrachon, founder of Alix Unlimited, has been part of the decorative carpet industry. As a writer, speaker, and rug consultant to the interior design trade and private buyers, Perrachon’s background and experience led her to write a book called The Decorative Carpet –Fine Handmade Rugs in Contemporary Interiors. 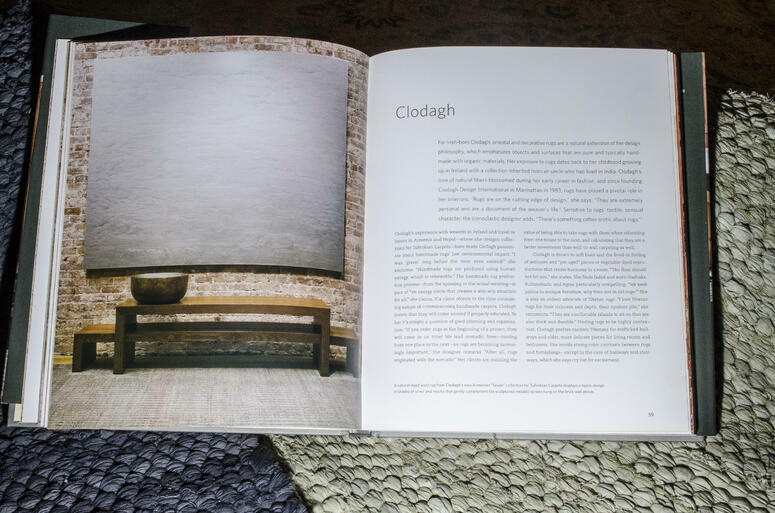 Described as a practical and visual resource, the book’s purpose is to encourage people in the industry and those looking to purchase rugs, to consider decorative carpets as a vital piece of interior design. 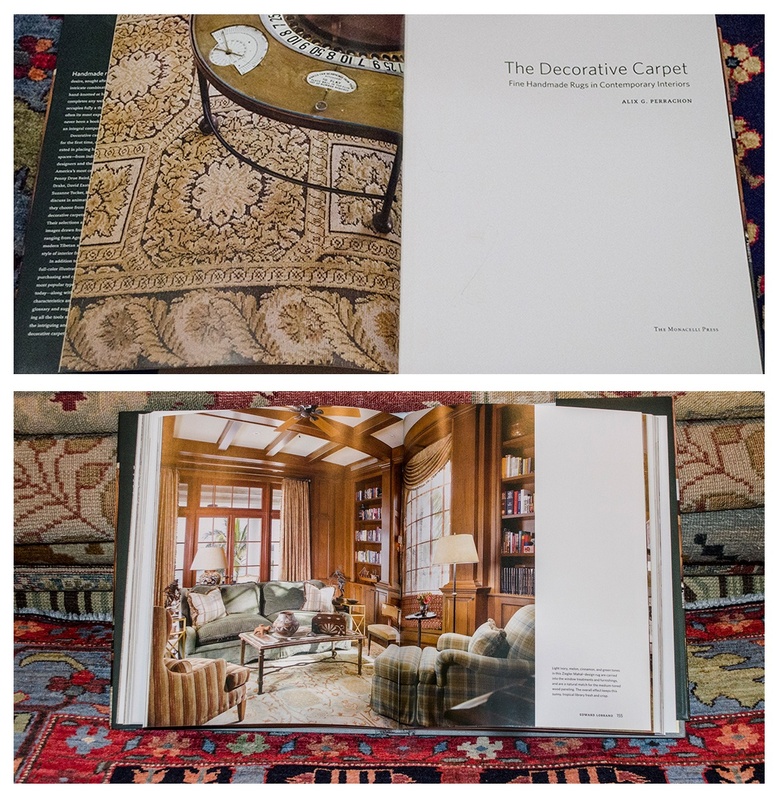 Over the years, Perrachon’s clients have asked her what books to read on rugs and how to identify them because the photos in interior design magazines did not provide enough information. Although rugs have become a more essential part of interior design, shelter magazines usually feature rugs in decorative settings without even mentioning them, least of all of what kind they are. Therefore, in many cases, Perrachon acts as the liaison between the rug dealers and her clients. 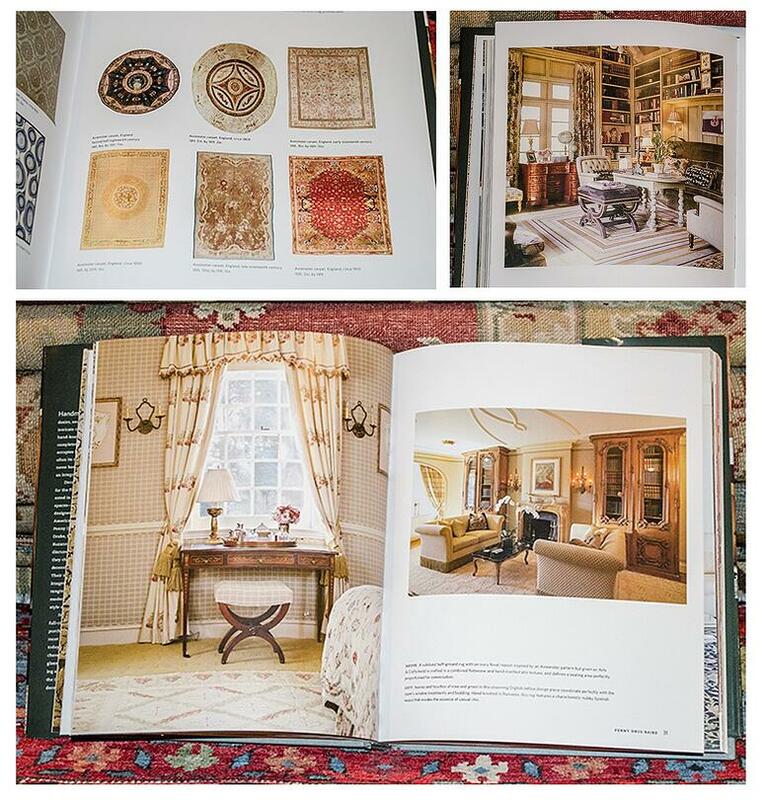 Published in 2010, the book includes 32 top designers and a wide array of handmade rugs from traditional oriental carpets, both antique and new, to transitional rugs and very contemporary carpets. Perrachon ensured that The Decorative Carpet was a comprehensive representation of the wide variety of rugs available in today's market presented generically, rather than pieces from specific rug designers, to attract a wide audience of buyers. 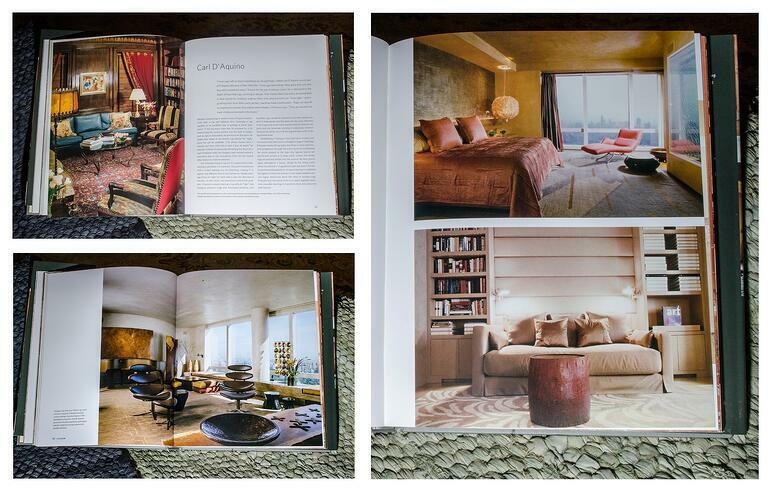 Additionally, each chapter begins with designers’ explanations of why rugs are important to them and how they use them. 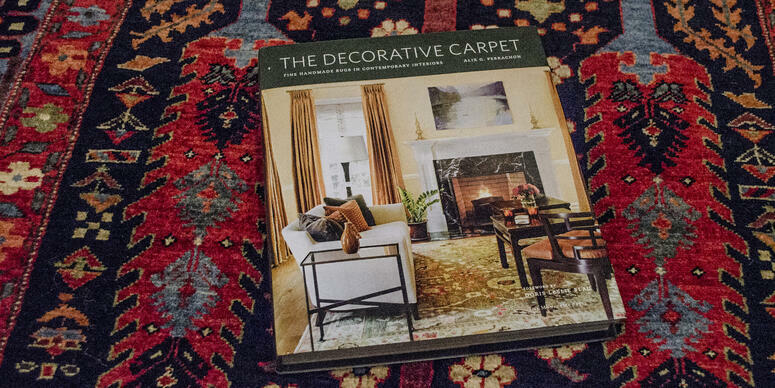 The book also features useful rug information for rug buyers including an overview of the twenty best-known types of decorative rugs in today's market, advice on rug purchasing and care, and a glossary of rug terminology. Although Perrachon’s book is comprehensive, she chose not to write it as an academic book because she says most people are deterred by the foreign names and confusing nature of the technical details concerning production techniques. Instead, The Decorative Carpet is meant to help designers explain to their clients the importance of decorating with high-quality rugs such as those available at The Scarab in Minturn, Colorado. When asked to identify the most important advice she gives to clients who are choosing a handmade rug, Perrachon says that everyone should do the best they can to educate themselves. She explains that she is strongly against buying rugs online because it’s impossible to see the colors, texture, quality and even pattern of a rug from photos; hence the importance of buying at a respected dealer such as The Scarab, where customers have access to many of the world’s most beautiful carpets in one showroom that is within a short drive from most anywhere in Colorado. Larry, one of the owners of The Scarab, understands the important aspects of interior design service and the need for trial placement of carpets. Having worked with interior designers for over 25 years in the Vail Valley, The Scarab clearly grasps the educational and service requirements needed for selling and servicing fine handmade area rugs. The Scarab’s team members are willing to accommodate your needs and they provide exceptional service to designers and their clients. 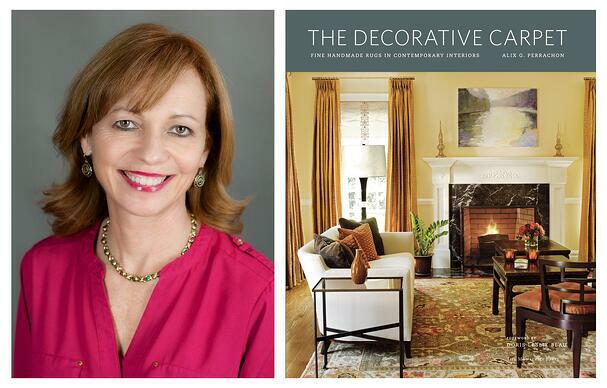 Perrachon says she wrote the book for the love of rugs and because she truly believes that decorative carpets are one of the most important elements of design. Copies of the The Decorative Carpet, which features over 200 color illustrations, can be found at The Scarab. She met Larry Stone and The Scarab team over four years ago at a rug show and continues to see them regularly on the rug circuit. For more information or to purchase this book, please contact us. Learn more about Alix and her book. Read Alix's blog story about The Scarab!